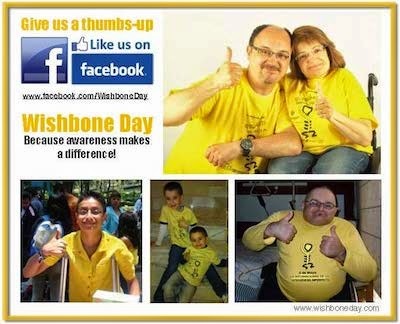 It's hard to believe that this is only our 2nd International awareness day for OI - Wishbone Day! 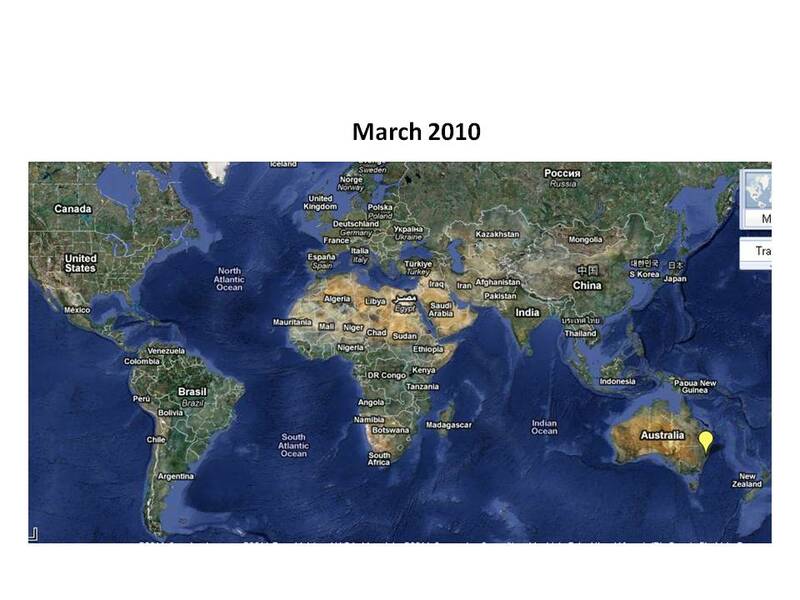 We've grown so much and spread so far. Wishbone Day has achieved so much and made 1000's of new friends along the way. Wishbone Day 2011 will be celebrated across the world in playgroups and pre-schools, schools, universities, local and international businesses and organisations, with kids and adults of all ages, in small and large community groups. There will be Wishbone Day inspired t-shirts, posters, badges, hats, pins, ribbons and door hangers. Wishbone Day inspired picnic days, morning tea's, dinner parties, congress meetings, playgroups, craft sessions, information sessions, newsletter segments, TV advertising, radio broadcasts and so much more. How will you celebrate Wishbone Day 2011? Keep sharing Wishbone Day with the world. 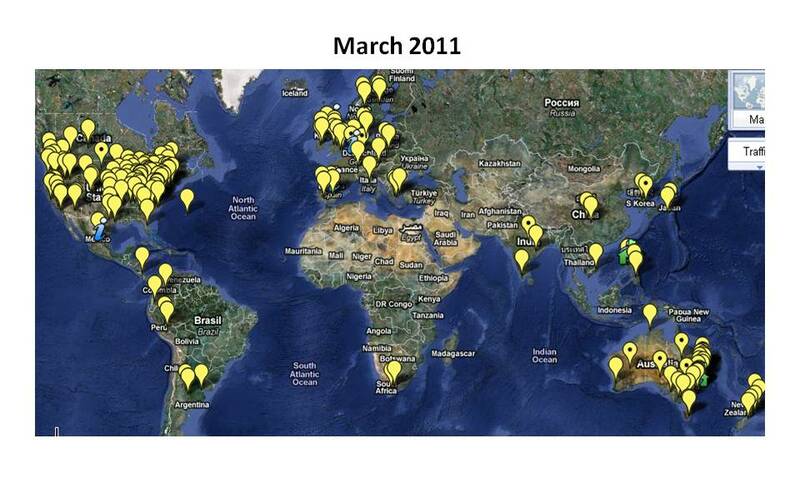 We still have a lot of people to reach! Please put a yellow marker in Brazil. We will have two events wisboneday!